Holy Moly, were we blown away when we picked up February's edition of Southern Living Magazine! 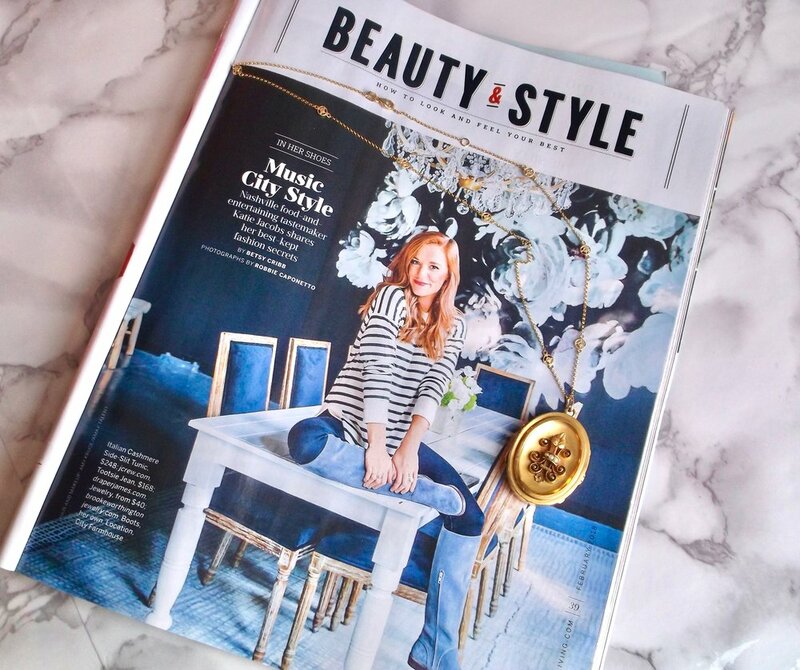 The always fabulous, Nashville food and entertaining tastemaker, Katie Jacobs, is featured in the Beauty and Style section and gives advice on how to look and feel your best! Katie's response to the question, "the one thing I can't live without", had us all crying happy tears! She says, "When we were dating, my husband gave me an antique locket from Walton's Antique & Estate Jewelry in Franklin, Tennessee. I wear it every day - even for my wedding - and it really is one of my most treasured possessions." Thank you, Katie, for your continued love and support! We are truly touched by your kind words! Congratulations on a beautifully done article!